You need to have separate anti-malware software to remove malicious programs like spyware, adware, malware, rootkits, worms, etc. whether you have an antivirus installed on your computer. 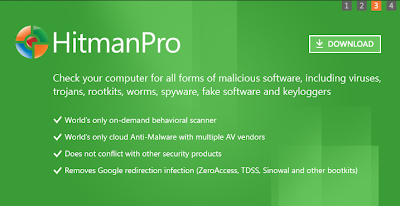 HitManPro 3 software uses cloud computing anti-malware technology to detect and remove most of the distrustful viruses and malware related threats. HitManPro is developed by SurfRight to analyze the PC suspicious behavior and report the information to the scan cloud via the internet. 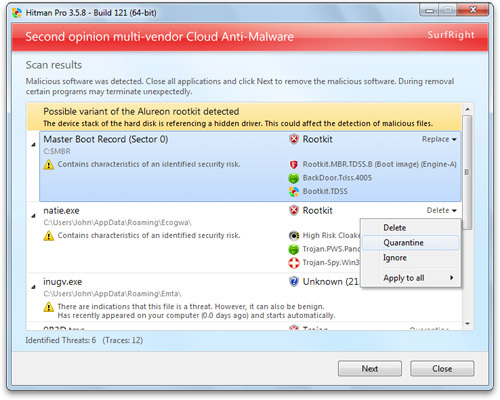 This tool is popularly called as a second opinion scanner to save your computer from infected malware. What is a Second Opinion Scanner? Computers today get affected in spite of installing powerful antivirus programs and it is true that they will not offer you complete protection. So, relying on a single security software will not assure you 100% protection and it is time to go for a second source of protection which offers out-of-the-box security. It is not recommended to install another antivirus program which should obviously decline your PC’s performance and drastically it effects other applications as well. Installing a separate security solution such as anti-malware, anti-rootit, anti-spyware, etc. would be a better solution for this problem and HitManPro 3 will be the right choice. HitManPro 3 will not slow down your PC and moreover it offers you a “Free Scan” to check the security conflicts. When found any threat at the time of scan, it will remove automatically. Can be installed on any USB flash drive or CD/DVD or hard drive. Behavioral Scan – Determines the action and activities of malware-related threats and suspicious files. Scan Cloud – If any file(s) had found suspicious then, it sends that particular file(s) to Scan Cloud to confirm and it will respond in three ways – Safe, Malicious and Unknown. The “Unknown” file is scanned by 5 different antivirus tools in the Scan Cloud and answers you whether it is “safe” or “malicious”. Malware Removal – The infected files are stored into quarantine and then removed. It takes 3 minutes to scan your system. Installs and Uninstalls without any issues. Creates a log file of potentially harmful and suspicious threats that scanned and removed. HitManPro can be used by computer users, Help Desk and Support Organizations, and Website owners. 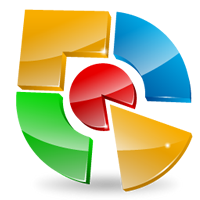 It is recommended to buy this software to utilize its complete features. The 30-day trial version is available for download.